Can I download an Invitation for the party? Is an adult required to stay for the duration of the party? This decision is entirely up to you. You are of course welcome to stay for the duration of the party. Or you could use the time to go for a coffee or a glass of wine in one of the many establishments in Applewood. Or to have a couple of hours out in the wonderful Pavilion Shopping Centres. We accept payment by cash, paypal or bank transfer. We will also accept payment of the deposit by cheque where the actual party date does not fall within one week of the date the deposit is received. Yes. We MUST be informed of all allergies. We will adapt treatments and food where possible to cater for children with allergies. Does the party cost less if there are less than 10 children? No. The party cost is the same. However, where there are less than 10 children we will ensure that the children get additional treatments. I want to organise my own food. Is this possible ? Yes. In this case we will devout the full two hours of the party to doing treatments. 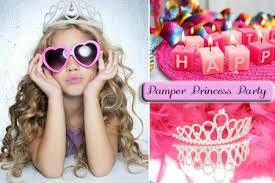 Instead of allowing time for party food, we will offer each girl an additional treatment. What age do you cater for ? Our parties are ideally suited for children age 6 and up.